Technousa offers end-to-end Custom ERP Software Development services - Our Highly Skilled and Experienced ERP Developers Deliver Powerful, Highly Customized ERP Software Systems. Disintegrated Data Systems and improper resource planning kills the efficiency of any company – if this is what your company has been going through – it's time to put your act together and the highly customized ERP Software system that we build can help you do that. 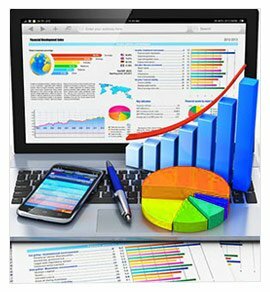 Powerful, Highly Customized ERP System built based on in-depth analysis and understanding of your business requirements and processes will help you to carryout effective operational planning and administration and will also enable you to optimize your internal business processes in order to achieve overall efficiency. A well-planned and developed ERP Software system effectively integrates all disintegrated data and organizational processes including Financials, Customer Relationship Management, Manufacturing, Human Resources, Warehouse Management, Inventory and Supply Chain Management etc. Into a single unified system that gives management and employees a ring side view of business operations which in turn enables them to take informed business decisions that lead to transparency, speed and efficiency, cost-saving, better control & work flow and ultimately increased profitability. Technousa Advantage – Why us? We are one of the best offshore ERP Software Development companies with offices in US, UK and India. Our team consists of highly skilled and vastly experienced software developers who specialize in ERP software development and have developed ERP software for businesses across industries. One of the biggest advantages that we give our clients is that we not only commit to provide high quality service but also work with them as IT solution partners and give them the right recommendations and add-on ideas with an objective to help them save cost, increase efficiency and profitability. Being an offshore ERP development company, we also ensure that our clients get the cost-advantage. ERP software system is quite complex and it is deeply integrated into the business processes and is highly customized according to business requirements thus every ERP project requires a unique and in-depth approach. Our strength lies in the fact that we work closely with our clients to understand and analyze their business processes & specific business requirements in the present and future. Based on the gathered data and client inputs, we conceptualize and develop the structure and functionality of the software system which will exactly meet client's specific business requirements. We assure you to deliver an ERP system that will be Highly customized, Powerful, Reliable, Secure and User-friendly. It's time to reorganize your company and drive it to achieve consistently high performance and profitability. Just get started – hit the button below to request project evaluation.